Tied 2 Teaching provides a great break from boring textbooks with their STEM Activities, Full Year of Challenges with Close Reading! It includes 61 STEM challenges, which is more than enough for an entire school or calendar year. Many of the activities are seasonal, so they would make a great addition to any unit. However, there are activities that can be done year round. In each challenge pack, there is a list of materials that you will need to complete the challenge. I appreciated that all of the materials were things that you would already have, so there was no need to purchase any additional supplies. Since my children range in ages from K-4th, I chose the activities that all of my children could enjoy. After going through the list, we chose the following four fun challenges. Of course since this challenge used water, I knew it was going to be a hit. This activity was very easy since all we needed was aluminum foil. Although it seemed simple, my children really had to think about ways to create their boat using the foil. We actually tested our boats in the bathtub to determine if they would float. I appreciated the planning sheet since it allowed my children to really think about their design before actually building. Since there are multiple formats of planning sheets, they are adaptable for multiple age groups. This activity was easy and fun to do for all of my children. We used larger blocks and my children enjoyed building the tallest tower they could. I added a math component by having my children count how many bocks they used in the challenge. For my fourth grader, I had her read the passage and complete the comprehension questions. She was very interested in the website that was linked since it has many interesting reading passages about a variety of topics. The house of cards challenge was an actual competition in my home. My children split into partners to design their house of cards. First they used the planning sheets to decide how they wanted to build their house. Then afterwards we talked about their designs and they thought about how they could have made it better. The included reflection sheets helps children extend their learning by reviewing their design. This was a new challenge to me. My children love to make towers, but I had never heard of a pencil tower. We used unsharpened pencils for this one, but I think it can also be used with crayons if needed. My children really liked the variety of challenges that were available in the bundle. I think that they can really be used all year, since your child can go back and make their designs better. STEM is everywhere now, and these fun challenges will stretch your child’s imagination and get them more interested in Science. With the added reading passages, these activities can easily be integrated into any curriculum. Click the banner to read more reviews! Spring is a great time for fun preschool activities! I have looked all around for the best spring preschool activities. Easy Sprout Heads (Red Ted Art)- this fun spring activity uses egg shells and cress to make face plants! Rain Cloud Painting (A Little Pinch of Perfect) - This is a perfect activity after learning about the weather with my Weather Unit. Outdoor Tree Bark Rubbings (I Can Teach My Child) - This is a creative activity that allows children to color in a different way. Lunch Sack Kite (Lovely Commotion)- Make a simple kite with a few art supplies. STEM Windmill (Carly and Adam)- Get your preschooler engaged in STEM with this simple windmill activity. 6. Puffy Paint Clouds (No Time for Flashcards)- This simple activity would be a fun follow up for a preschool cloud unit. 7. Sorting Parts of a Flower (Munchkins and Mom)- After learning about plants, try this hands-on activity with real practice! 8. Spring Slime (Natural Beach Living)- This pretty spring slime will be fun to make and play with. 9. Nature Craft Collage (Mother Natured)- Go on a nature walk, and then complete this preschool art activity. 10. Cherry Blossom Painting (Projects With Kids) - This activity is quite simple but the actual art turns out beautiful. Preschoolers will love to paint with cotton balls. 11. Tissue Paper Butterflies (Twitchetts) - After your preschool butterfly theme is complete, make these simple butterflies. 12. Cupcake Paper Flowers (Laughing Kids Learn)- A simple craft using supplies already in the cabinets. 13. Straw Blown Peacock (The Pinterested Parent)- Use straws and paint to create this peacock. 14. Sensory Play With Spring Colored Sand (Buggy and Buddy)- Use brightly colored sand for this spring sensory activity. 15. Rainsticks (Gift of Curiosity)- A fun preschool music and science activity. 16. Simple Paper Flower Craft (Easy Peasy and Fun) - A simple preschool art activity when you don’t have a lot of time. 17. Seasons Weather Sorting (In the Playroom)- A great way to assess your preschooler’s understanding of the weather using stickers and construction paper. 18. Counting and Color Birds (Early Learning Ideas) - An easy construction paper craft. 19. Sponge Painted Butterflies (The Resourceful Mama) - After completing your butterfly preschool unit, make this fun butterfly. 20. Paper Plate Snails (This N That With Olivia) - Since children will see snails out and about in spring, why not make this cute snail art craft. Sometimes it is nice to take a break from regular studies and try something different so we were excited to review Unit Studies: (K-6) from Homeschool Complete. DISCOUNT: Use the code CREW2019 and get 10% off orders until 3/31/2019. We received the Ants Units study. Since ants are all over, and since children are interested in living things around them, I was happy to review the Ants curriculum package. My daughter is interested in insects and since ants are so easy to observe, I was happy to have the chance to teach her more about these interesting creatures! The printed curriculum included a full-color cover, table of contents, and the actual curriculum/worksheets. There was also a materials list for each of the activities. Most of the materials were very simple and things that would you already own. I followed the detailed lesson plans, which I think would helpful to new homeschool moms, or parents who like their curriculum already prepared. The entire unit contained four lessons which could easily be taught in one week. The unit is based on a five-day school week, with four planned activity days, and one open day for activities of your choice. She liked doing the activities that were related to the ants. One activity she enjoyed was coloring the diagram of the ant body parts. The vocabulary taught the body parts of the ants. The curriculum was really complete and included Science, Math, Reading, and Language Arts activities. There was also a Skills List, which covered the skills that would be taught throughout the unit. There was also a Literature List of recommended books which could easily be found in the library to enhance the lessons. Science - The science information was basic information about ants. It gave a lot of a facts, which was perfect for my second grader. Math- The math was place value activities, and two-digit addition problems. The math included the answers as well, to easily check your child’s work. Since the math covered different skills such as place value, addition, and ordering numbers, it is up to the parent to decide what your child should work on, since some skills might be new and need to be taught. Reading- There were multiple short passages about ants to read. Language Arts- The language arts included fill-in-the blank sentences and there was also cursive practice included as well. In the curriculum, there was also a hands-on activity of making an ant. This was a good way for us to review the parts of an ant. Overall, my daughter liked completing the unit study. I wish that the worksheets were on a different page. All of the pages are combined, so although it saves paper, it is a lot to read. I felt that putting all of the information on one page was a lot for a child. I did like that it included all of the subject areas, so although the focus of the unit study was ants; there were lessons for the entire week. My children love any chance to get on the computer, so we were more than happy to review the annual membership, IXL, from IXL Learning. IXL Learning is an all-in-one solution to practice skills in subject areas (math, language arts, grades 2-8 science, grades 2-8 social studies, and intro Spanish). My 4 children were all able to use IXL at their individual levels. My daughter really liked the fact that if she got an answer wrong, there was an explanation that helped her to understand the right answer. She did not like the fact that the questions were timed, since she felt that sometimes she need an extra moment to figure out the answers. My second grader was excited when she saw that IXL offered intro Spanish. We have been studying Spanish at home so it was a good opportunity for her to test her knowledge. She also liked being able to move on to the next level of a lesson and not be stuck in a certain grade. The way that it is setup children can practice by grade or by skill. I really wanted my twins to gain practice on the computer, but I wasn’t sure if they would be able to navigate the site. However, I was pleasantly surprised that the questions were really at their level, and the only skill they needed was the ability to use the mouse. My twins liked that the questions could be read to them. I liked how they were able to practice test-taking skills on the computer. The explanation for the most part was a bit over their head, since it wasn’t an actual video. However, I sat with them while they were doing their work and used any missed questions as an opportunity to go over it with them. Overall, I really like the way that IXL Learning is setup. It allows parents the ability to see when your child has logged in, as well as what they have been practicing on. It also gives parents the ability to check on any milestones their child has reached, and celebrate any achievements. I think that IXL is a good review tool, after your child has learned a particular concept. Since the lessons start right in with the questions, a child has to already have an idea about the topic otherwise they will have a hard time succeeding. Again, if a child gets an answer wrong, they will be able to see an explanation for the right answer. The subscription also emails the parent when a child reaches a learning milestone. It is also a good motivational tool to print out any certificates for your child, especially if it is an area of concern. My favorite part of IXL is that children are not stuck on their current grade level. Whether your child needs extra review, or is advanced, the membership allows your child to work at their current level. We have been focusing on on the Mathseeds part of Reading Eggs while using the 200 Essential Math skills for First Grade, one of their brand new workbooks. I was very excited to review the Mathseeds workbook since many programs are focused on reading and there are very few that focus on Math. Reading Eggs is a very popular online reading program that helps children learn to read. The program focuses on the necessary reading skills to ensure that children learn to read through phonics, vocabulary, reading comprehension, phonemic awareness, and fluency. Now Reading Eggs has a line of reading workbooks that supplement the online program. I am a fan of technology, however I believe that children need multiple attempts to practice a skill before mastery. The workbooks allow you to do just that! The reading workbooks begin at kindergarten and go up to 5th grade, so a child can use this each year for school. Even if you aren’t a homeschooler, I think that this is great practice for a child to improve at home. The company also recently released Math workbooks, MathSeeds, which focus on grades K-2nd to correlate to the online math program. I like that there are now workbooks that go along with the online program. I think that it makes it easy to review or reteach a skill. Although my 5-year old is in kindergarten, I thought it would be too easy, so we used the first grade Math book. My son really enjoyed this workbook because the pages were in full color, and really kept his attention. I usually have my children read their own directions because I want them to understand what they are doing. The directions were very easy to read, even for my 5-year old. I was very surprised about how many concepts the book actually covers. This is more than just a basic addition and subtraction workbook, it covers fractions, money, ordinal skills, and more! 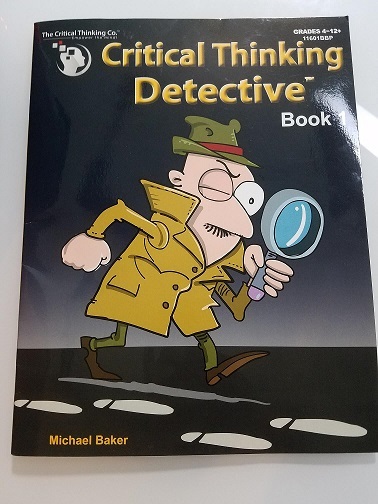 The book actually covers 200 essential Math Skills that first graders need to know, and it also has a check box at the bottom where the student (or parent) can complete a mini-assessment. We did a few pages each day and talked about the concepts. I first like to go over the concept with a hands-on activity, then complete the workbook pages. 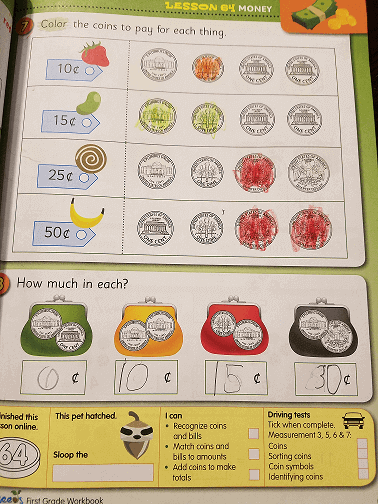 So for the money page, my son counted real money then we did the workbook. Another thing that I liked about the illustrations is that they were clear. After he completed his workbook page, he went online and used the program. He really enjoyed the fun characters and the game-like way the program is set up. My son really enjoyed using the workbook and online program. I definitely need to get another one so that my daughter could use it as well. I think this would be a fun and engaging Math book to get a child to be excited about Math. 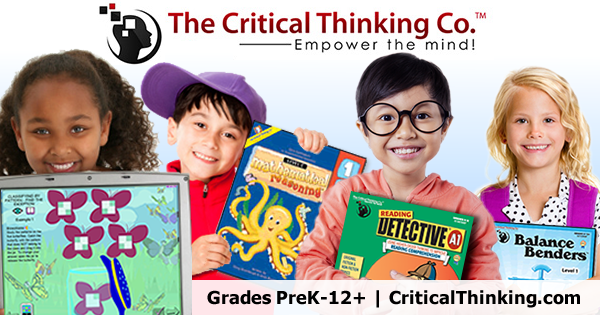 Since there is a book and online component, this makes it easy to be a complete curriculum choice for young, elementary age students. Today I want to tell you about a brand new program from Smart Kidz Media called Smart Kidz Radio. 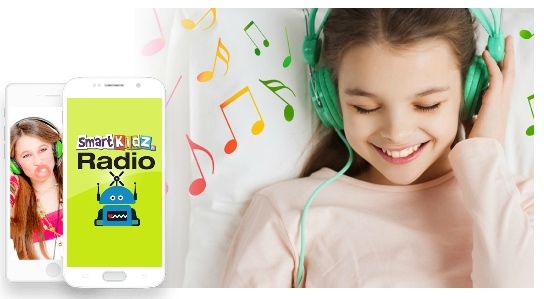 Smart Kidz Radio is an edutainment radio channel for children. 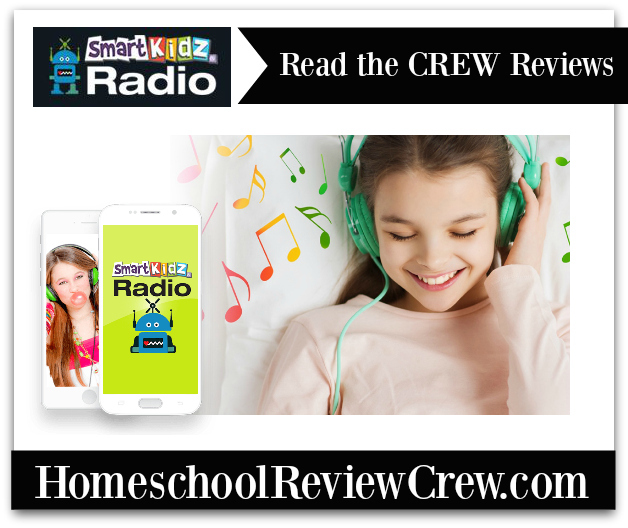 My children love to listen to the radio, so I was very interested in trying out this program. I like that it is truly family friendly and does not have commercials that are inappropriate for children. There are songs for relaxation, bedtime, and relaxation. I think this would be fun as a brain break during homeschooling or just as an alternative to watching television. There are also fairy tales that your children can listen to as well. One way to use this in your homeschool is to read a fairy tale and then compare it to the radio version. When you go to the website, you will be able to hear a sample of the songs that will be available. 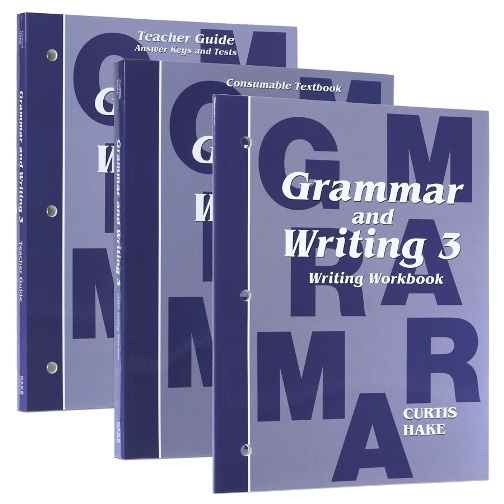 Today I want to introduce you a homeschool grammar program, Hake/Saxon Grammar and Writing 3, from Hake Publishing. 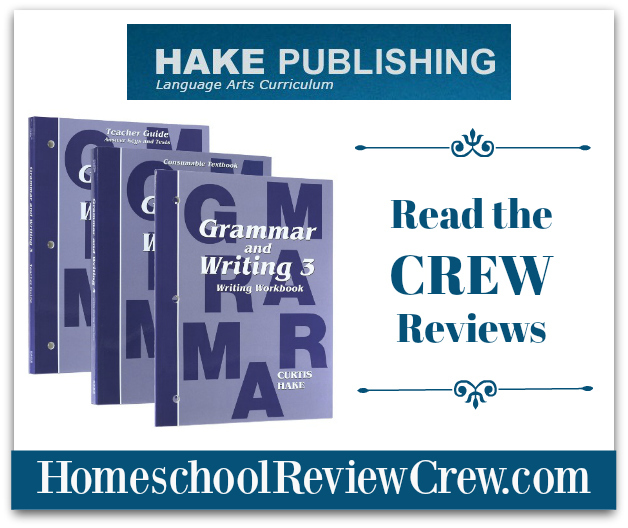 I was excited to review the Grammar workbook from Hake Publishing since I am always working to improve my daughter’s grammar skills. Even in public school, language arts is not usually as focused on as far as the rules are concerned. In order to become a better writer, children need to learn the rules of grammar. I was pleasantly surprised to see when I opened the box that the curriculum includes a Teacher Guide, Student Textbook, and Student Writing Workbook. This curriculum is clear and easy to use even if you have never taught before. 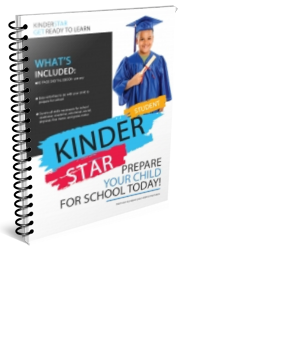 There are three products in the set which includes the student workbook, a student writing book, and a teacher guidebook. The beginning of the book starts with learning about sentence structure and at the end students learn how to write a chapter summary. I like how they added the writing piece to make the grammar that children learn have a purpose and be used in context. The student workbook is definitely designed for older students in mind, there are no pictures or clipart, just the work. It was an adjustment for my daughter from her previous language arts book that she used. I think that the lack of images prepares children for middle and high school textbooks. The Student Workbook has 21 lessons. The writing lessons are designed to be done on the test days. The writing activities include short answer and paragraph writing practice. The teacher guidebook has answers so that you can help your child with their lessons. The teacher guidebook also has teacher notes, as well as a teaching schedule to help you plan your lessons accordingly. It is recommended to teach the lessons in order so that your child doesn’t miss out on any important skills that are taught. There are also additional review pages for selected lessons when you need to review with your child. My daughter completed one lesson a day each week. It took her about 15-20 minutes to complete the activities, then we spent another 10-15 minutes going over the answers and clarifying the information. There is a Meeting component of the lesson that we didn’t always do, since it seems more geared to a group of students in a class setting. After every five lessons, there is a test that you can give to check on your student’s progress. I would actually do them every six weeks, so that way there could be a one week of review before the test. I like how the curriculum progresses in difficulty, so that it builds student confidence as they are working. I really liked the layout of the book. It is great for homeschooling parents as well as parents who see that their child is either lacking or needs more assistance with their grammar. It is also helpful that the curriculum constantly reviews what was previously taught, so students do not forget what they have learned. This is one of the most comprehensive grammar curriculums I have seen, and I will continue to use this curriculum for all of my children. The curriculum actually goes up to the 8th grade, and even if your child attends a traditional school, I would definitely recommend this program to supplement their learning. My daughters have been working on improving their inference and highlighting skills with MaxReading one of the Reading Intervention Programs from MaxScholar. MaxScholar has a program called Reading Intervention Programs that is designed to help identify and bridge the gaps in reading that children have. First each of my daughters were set at their current grade level (first and third). When they logged in for the first time, they took a diagnostic test for their skills. The program adjusts to the child needs and teaches to their current level. 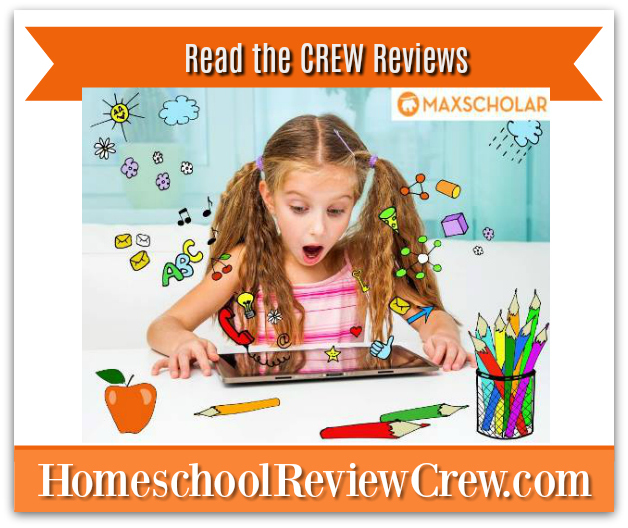 We used MaxScholar as a supplement to our reading program three times a week. My daughters were on the program for about 20 minutes each session. Once my first grader logged in, she had to read a short reading passage. The words are not too difficult and she could read them without assistance. After reading, she was prompted to first highlight information. I think that your child may need help doing the first few assignments until they get the hang of it. The highlighting was a new experience for my first grader, but I feel confident that by introducing the skill at a young age it will improve her reading. There is also a dictionary section that defines all of the words in the reading passages so that children know what the new words would mean. My third grader first had to read a detailed passage which was more than a few paragraphs long. After she finished reading the passage, she was given comprehension questions to answer. The comprehension questions are multiple choice, and I always make sure that she goes back into the story before choosing an answer. My third grader really enjoyed the feedback she received after each lesson. I like how you can see the main components of reading as well as the areas that need improvement. Since this is a reading intervention program, it works to focus on the areas of weakness. My children really enjoy improving their reading online. Unlike just reading a regular book, your child actually has to prove their understanding of the story through their answers, so it holds children accountable for their reading. I also like that it covers all of the components of reading, instead of just focusing on reading comprehension. My daughters actually had high comprehension scores, but need more assistance on making inferences and highlighting. Highlighting is a good skill for children to learn because it teaches them to be more aware of what they are reading, and provides them with text evidence they can use when answering questions. Today I would like to introduce you to PandaParents and their MESSYLEARNING FOR PRESCHOOLERS AND KINDERGARTNERS. I reviewed the electronic version of the program. Each month of lessons in the program includes a storybook, student workbook, and video. The program is designed so that you can read the book, watch the video, and create something (complete an activity). This lesson focuses on the letter “J” and its sound. This was also a Christmas/Santa Claus theme lesson. This lesson focuses on shapes, and the storybook is a question and answer format. This lesson focuses on the letter “S” and its sound. It also talks about animal habitats. There are also sequence pages, where children have to put the story in order. The storybook is bright and colorful. You can either print it out or display it on the computer or on a tablet. In the storybook, the focus letter is red so that your child can point it out. The program has unique illustrations that my children were not used to, such as really large eyes. The workbook includes printable pages to help your child practice handwriting, coloring, patterns, and matching items. Since the workbook pages are full color, we talked about the questions and I had my children point to the correct answers. We did print the tracing pages since they were black and white. 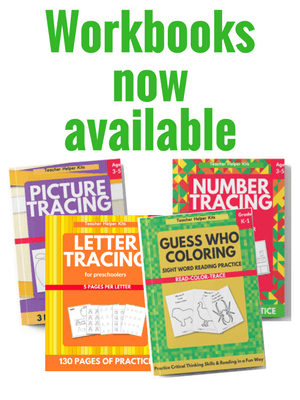 The workbook also includes other activities such as cut and paste, sequence, and sorting. These are all skills that preschoolers need to practice to prepare for school. We did a few pages a day, which is enough for preschool children. My children liked the videos that came along with the program. I think that the videos make the lessons “come alive” for the children. The videos also have the words at the bottom, so you could also have your child point to the words that they know in the video for additional learning. Some of the videos are very long, so I recommend only watching 10-15 minutes at a time. My children don’t use the screen that much, so after about 15 minutes they get bored. I liked the fact that it introduced large words to preschoolers, for example jingling, juggling, etc. This will help to expand your child’s vocabulary. Overall, this is another way to help your child learn in a different way. The company is preparing to have physical products available at a later date. Click the button below to read more reviews.